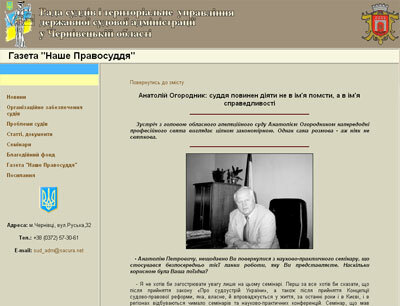 This is the new version, the old one you can still find here: www.tudsa.cv.ua. Site is based on Joomla CMS, so you can edit al articles andtextes with the Word-like editor. 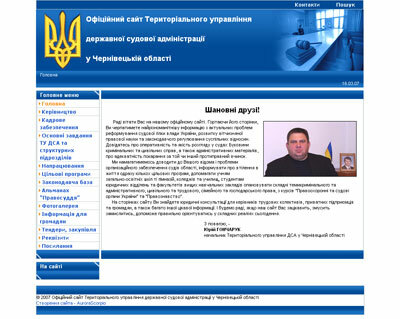 Official website of State court administration of Ukraine in Chernivtsi region "tells" about courts and court administration activities.